Cincinnati : Researchers report in the journal Cell Reports a targeted molecular therapy that dramatically reduces the initial development of Non Alcoholic Fatty Liver Disease (NAFLD) in laboratory mouse models of the disease. The study, published online, found increased levels of an enzyme called cdk4 in patients with NAFLD and in mouse models. Researchers at Cincinnati Children’s Hospital Medical Center report that when they used two drugs that inhibit cdk4 in mouse models of NAFLD (flavopiridol, PD-0332991), this significantly reduced development of hepatic steatosis the first stage of the disease. 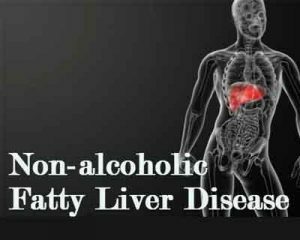 NAFLD is an abnormal buildup of extra fat in liver cells that is not caused by alcohol. The disease which affects up to 25 percent of the U.S. population usually develops in people who are overweight, obese or have diabetes and high cholesterol. The first stage of the disease, hepatic steatosis, can progress to a condition called NASH (non-alcoholic steatohepatitis) and ultimately cirrhosis or liver cancer. Timchenko said new therapies for NAFLD are needed because, short of weight loss and lifestyle changes, there currently are no safe or effective treatments. There are new treatments being tested in clinical trials with promising results, but these studies have revealed evidence of serious side effects. Despite technology advancements in molecular analysis, study authors said that very little has been known about key biological events that cause NAFLD. In people, the disease is usually linked to age and an inappropriate, high-fat diet that initially leads to the disease’s first stage. Timchenko and his colleagues turned to what they say is one of the best biologically relevant animal models for the disease mice put on a high-fat diet that researchers have learned mimic the main steps of NAFLD development in people. The researchers started making progress in unraveling the molecular progression of NAFLD when they bred genetically engineered mice that developed first-stage disease much faster than normal wild-type mice. The genetically bred mice had elevated levels of a complex of enzymes, suggesting to the researchers a particular enzyme might trigger the disease. After repeated testing – including analysis of donated liver tissues from human patients – the researchers found an association between elevated levels of cdk4 and NAFLD in humans and mouse models. Mice that were bred to not express high levels of cdk4 did not develop the initial stage of NAFLD, according to the authors. Because NAFLD is a progressive disease with several stages, the researchers are now conducting tests to see if using drugs to inhibit cdk4 not only stops or reverses the progression of hepatic steatosis, but also the later disease stages of NAFLD.